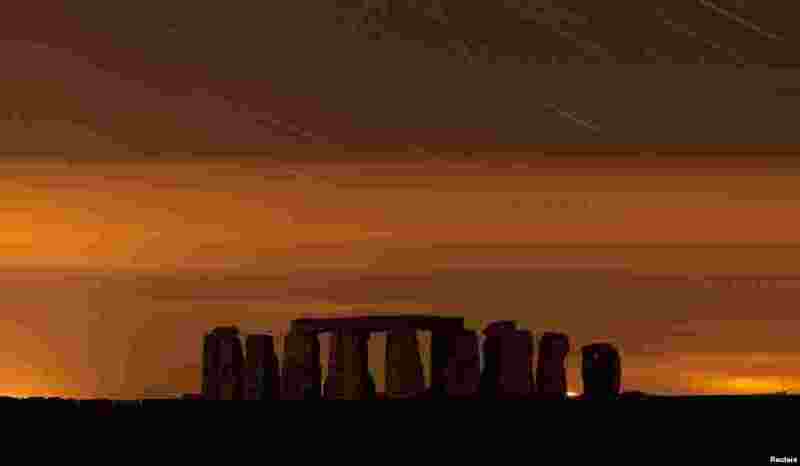 1 A general view of Stonehenge during the annual Perseid meteor shower in the night sky in Salisbury Plain, southern England. 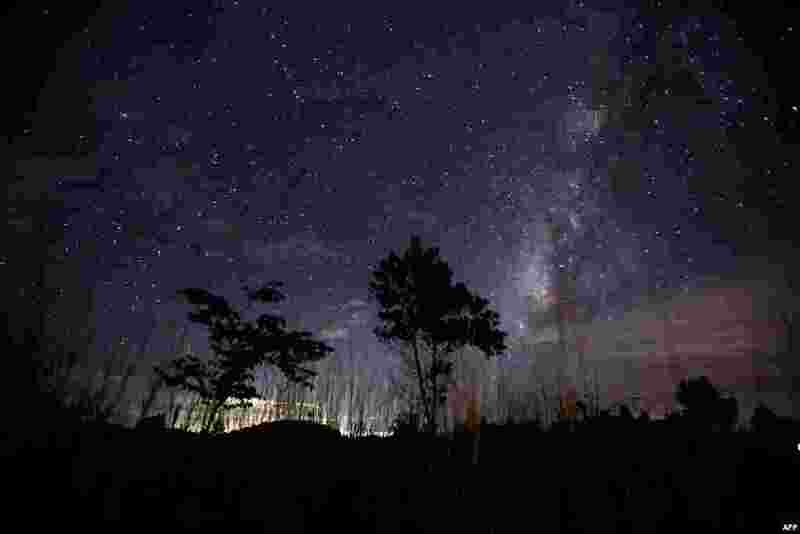 The Perseid meteor shower is sparked every August when the Earth passes through a stream of space debris left by comet Swift-Tuttle. 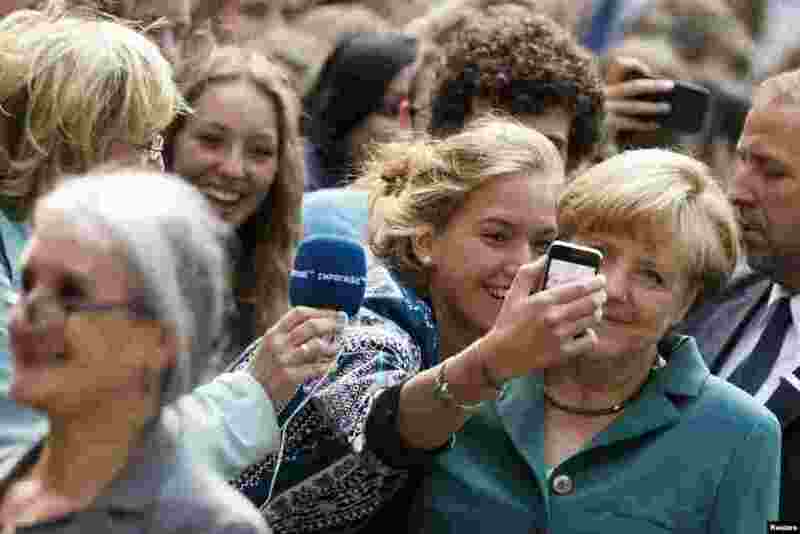 3 German Chancellor Angela Merkel (R) has her picture taken with a pupil as she arrives for a visit to the Heinz Schliemann grammar school in Berlin. 4 A portion of a building is in a sinkhole in Clermont, Florida, USA, Aug. 12, 2013. 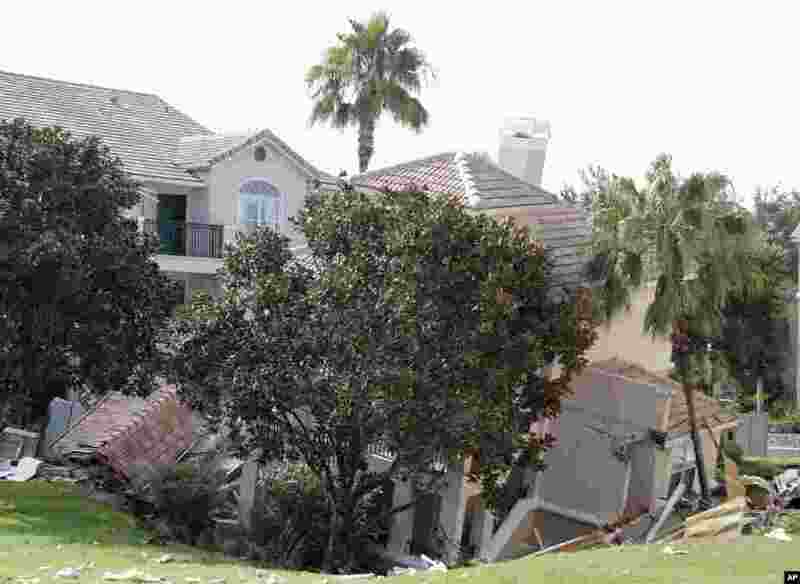 The sinkhole, 40 to 50 feet in diameter, opened up overnight and damaged three buildings at the Summer Bay Resort.